Most of what makes a behavior either polite or rude depends on the cultural context. Because of this it is easy to make mistakes when working outside of our own culture. One area that is relevant to business people is business card etiquette in Asian societies. There are several aspects of behavior that go along with business card etiquette and the appropriate behaviors can differ by country or even region. These are only general outlines of what to do or not to do in certain scenarios. 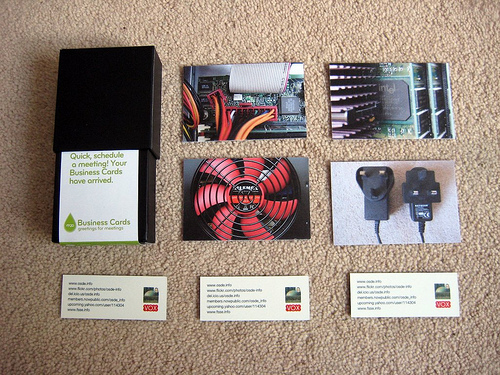 Generally, Asian societies are more formal about the presentation of business cards than most English-speaking countries. Make sure that your business cards are appropriately translated, even when the person receiving the card speaks English. The cards should be dual-sided with one side in English and the other side in the appropriate language. Simplified Chinese characters should be used on mainland China, Indonesia, Malaysia and Singapore while traditional characters should be used in Hong Kong and Taiwan. The best option for carrying business cards is a professional or leather business card case. The cards that you hand out should be clean and neat without spots, rips, folds or other blemishes. The cards that you receive should be treated similarly and never placed in a rear pocket or similarly disrespected. Do not write on another person’s card while in their presence. It is acceptable to write on your own card if you need to add information. Business cards have a great deal more importance in some Asian societies than they do in Australia. They should be exchanged respectfully with both hands when practical. If you must exchange cards with only one hand, offer it with your right hand. Especially if you are the more junior person, offer your card first. Exchange cards while standing. The translated side should be up and facing the recipient so that he or she can read it. When receiving a business card it is polite to study it for a moment and then place it respectfully on the table next to your own business card holder or gently into your jacket pocket. If you place the cards on the table during a meeting, don’t forget to collect them at the end. Leaving cards behind signals that you are uninterested in future contact with those people. Asian business people exchange business cards far more often than Australian business people are used to. Take along a lot more translated business cards than you think you will need and exchange them with anyone you want to hear from. Not having enough may mark you as unprepared which can be damaging to any business that you want to do. Kerstin has a strong passion in graphic design. In between pinning her favourite graphics on her Pinterest account, she works in a business cards Sydney printing company designing business cards and marketing collateral for her clients.